Shelley cartoons: Quick, buy The AGE! It's my first time on the letters page! I'm proud. 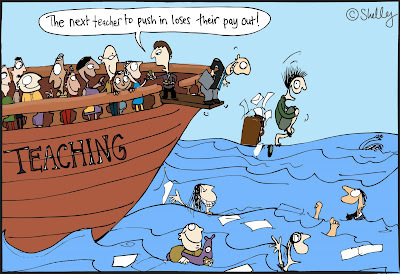 The cartoon is about Victorian teachers being offered big payouts to leave teaching. I'll have two more cartoons published in The Age, on the first two Wednesdays in January. Look for them in the Summer Age section of the paper.